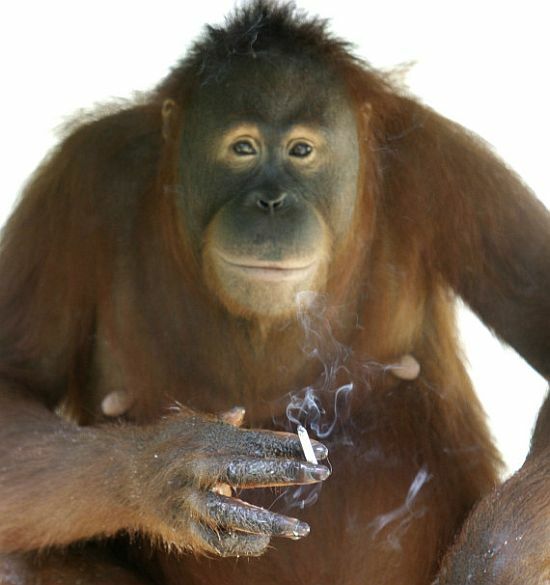 Tori, a 15-year-old orang-utan who has a penchant for puffing on cigarettes at an Indonesian zoo will be forced to quit her habit, zookeepers have said. The star attraction of the Taru Jurug Zoo will be moved away from visitors who regularly throw lit cigarettes into her cage so they can watch and photograph her puffing away and flicking ashes on the ground, the officials said. With the help of conservationists officials at the zoo are planning to move her to a small island in the middle of the Central Java zoo's lake where she can kick the habit and be kept away from visitors. Zoo director Lili Krisdianto said the move was aimed to protect four endangered orang-utans at the zoo, the Daily Telegraph reported. 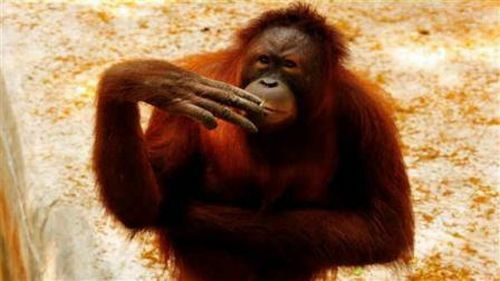 The primate mimics human behaviour, holding cigarettes casually between her fingers while taking long drags and blowing bursts of smoke out her nostrils to the delight of visitors. 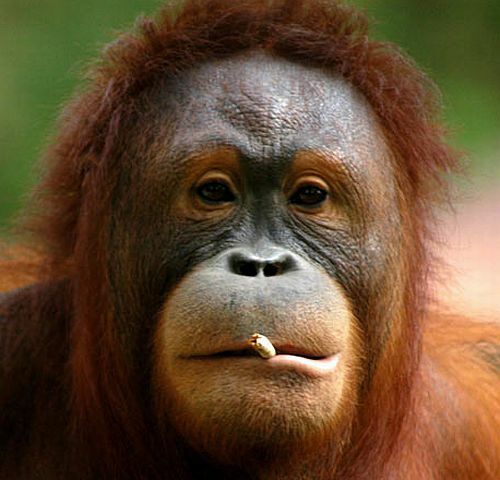 Medical tests are being conducted on Tori to determine how much of her smoking has affected her health, said Hardi Baktiantoro of the Centre for Orang-utan Protection, which is helping to coordinate the intervention. A mesh cover will initially be placed over Tori's cage, and later she will be moved to a small island away from the public, he said. Several Indonesian zoos have come under scrutiny following animal deaths, including a giraffe that died in the long-troubled Surabaya Zoo in March with an 18-kg ball of plastic in its stomach after years of ingesting trash thrown into its enclosure by visitors. Indonesia is also one of the last remaining countries where tobacco companies face few restrictions on selling, advertising and promoting products long banned elsewhere. More than 60 per cent of all men light up and a third of the country's entire population smokes.